President Muhammadu Buhari, in his capacity as Chairman of the Summit of Heads of State and Government of the Lake Chad Basin Commission (LCBC), has convened a consultation of Heads of State and Government of the LCBC scheduled to take place in N’Djamena, Chad, for today, November 29, 2018. The one-day meeting will review the security situation in the areas affected by Boko Haram insurgency and adopt measures to enhance the capacity of the Multinational Joint Task Force (MNJTF) to meet the challenges of securing the areas. The presidents of the LCBC member countries of Chad, Cameroon, Niger, and the Central African Republic have been invited to attend the meeting. The President of Benin Republic, a troops-contributing country, has also been invited to attend. Hey Buddy!, I found this information for you: "Buhari Convenes Heads Of State Meeting To Fight Boko Haram". 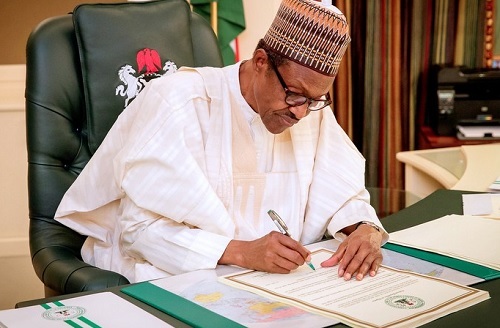 Here is the website link: https://headlinenews365.com/buhari-convenes-heads-of-state-meeting-to-fight-boko-haram/. Thank you.